A baby lamp finds a ball to play with and it's all fun and games until the ball bursts. Just when the elder Luxo thinks his kid will settle down for a bit, Luxo Jr. finds a ball ten times bigger. 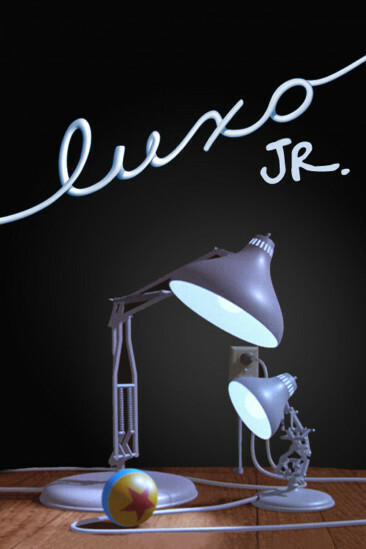 Luxo Jr. delightfully grants personalities to a couple of desk lamps. In what is a substantial step up from the studio's first venture into animation, this short film iconised Pixar's mascot. A mischievous playful desk lamp named Luxo Jr. as it skittishly manoeuvres a ball. Lasseter managed to anthropomorphise an appliance in the most basic way. No external human characteristics required, just an impish personality that conveyed an emotional response. Quite impressive when you think about it, given the minuscule runtime. Sure the "plot" is basic and its memorability is questionable. But there is no doubt that this is an achievement in animation, being the first procedural animated film. The addition of cutesy sound effects certainly enhanced the experience, but the whole animation lacks that sense of transcendence. Clearly acting as a stepping stone to the high-quality charm that Pixar are renowned for, but never pushing itself to break boundaries. Competent contemporariness with plenty of heart and tenderness, yet feels nothing more than just an experiment as opposed to a complete animated short.